As the African prepaid data market evolves, Over the Top (OTT) services are the new battleground: new entrants and some dominant operators are creating innovative new pricing strategies to increase market share or retain customers and defend their revenues from OTT players. Bundles exist in various forms: voice and data; SMS and data or voice; sms, data and voice. These bundles are generally offered with a limit or uncapped subject to a fair use policy. 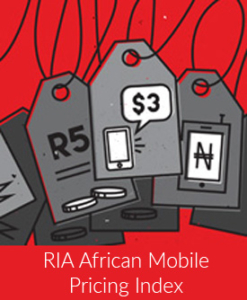 This convergence of voice and data offerings into diverse bundles has prompted the development of an African prepaid market Bundled Value for Money Index (BVMI) to assess the value of new bundled products in this dynamic market.